・You can also join from the Special Session(15:40～). ・Please refrain from entrance and exit in the middle of the speech. ・We will hold a social gathering at the same place after the meeting（16:10～）. We warmly welcome guests, so please feel free to join. ・When the total of participants exceed the seating capacity of the meeting place, you can apply on a first-come-first-served basis. 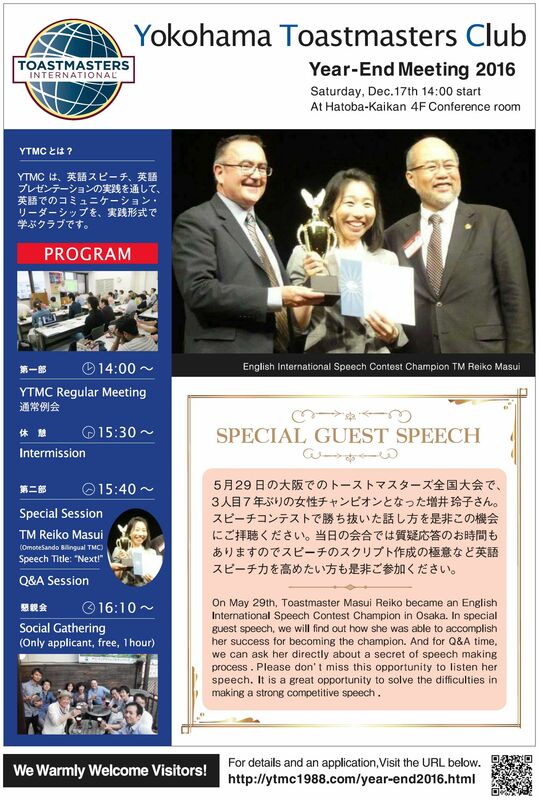 ・Visitors under 18 are not allowed to join by rules of Toastmasters Club. Thank you for your understanding.